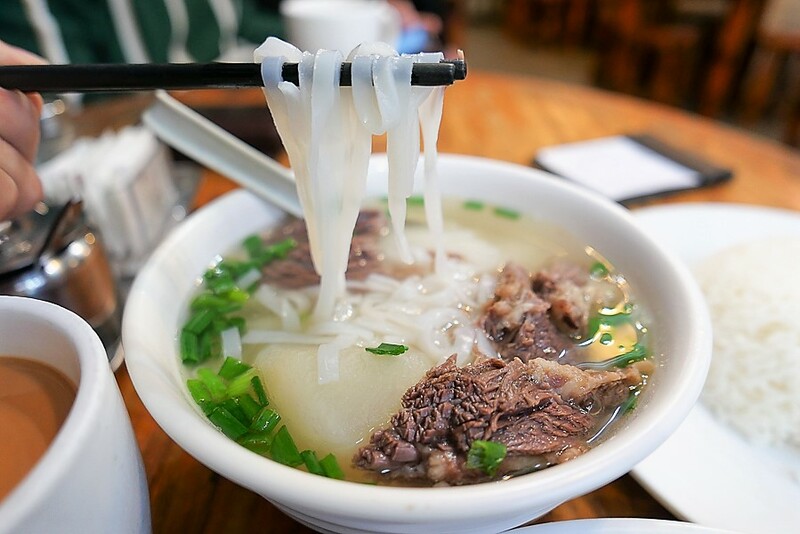 [Hong Kong] Cantonese-style Beef Brisket Noodles, or locally known as Ngau Lam Mein, is a popular dish that can be enjoyed in many eateries across Hong Kong. 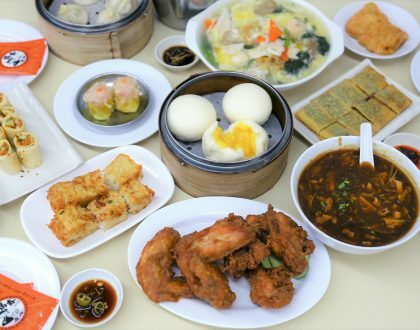 You can witness the popularity of this dish if you have ever been past Kau Kee 九記牛腩 at Central. The crazy long queue does not lie. 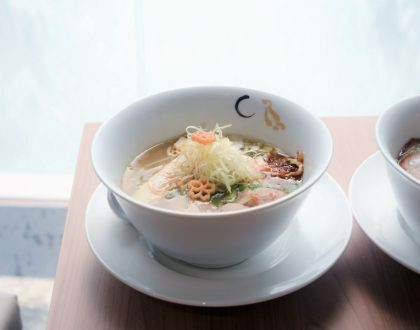 There is, of course, more than one place that serves this dish if you don’t fancy standing under the hot sun for 2 hours. 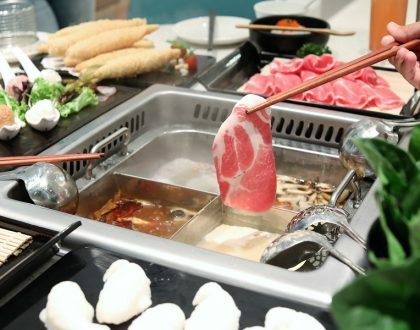 Previously on the Michelin Bib Gourmand list, Sun Sin 新仙清湯腩咖哩專門店 is another spot that counts itself as an expert in making beef brisket dishes. The shop is not huge but the seats are spacious and you do not have to lock elbows with another stranger. 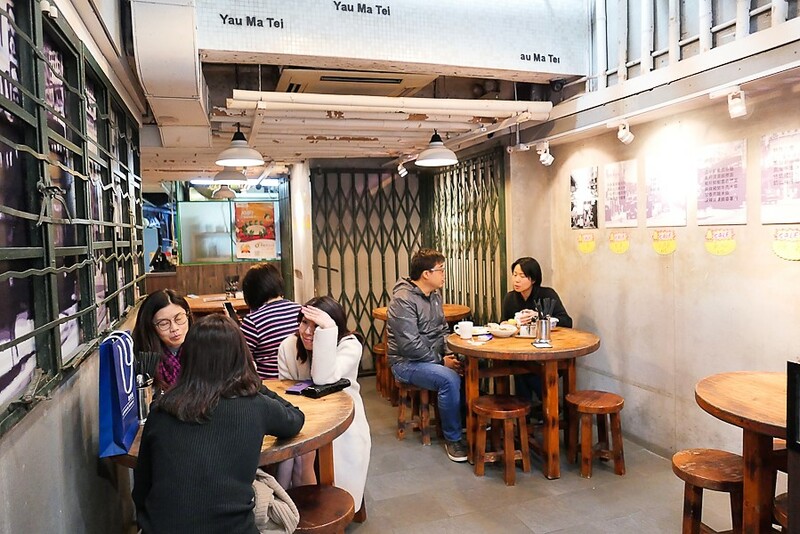 The interior just had a facelift – resulting in a modest shop with a retro old-Hong Kong theme. 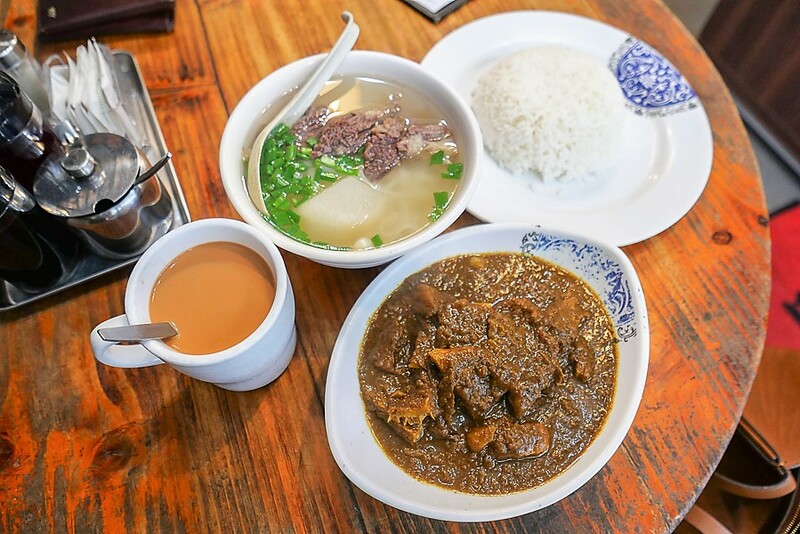 What you have to order here is the Signature Beef Brisket with Flat Rice Noodles (HKD45, SGD7.80) – a bowl of fresh rice noodles, topped with beef brisket chunks served in classic Cantonese clear broth style. 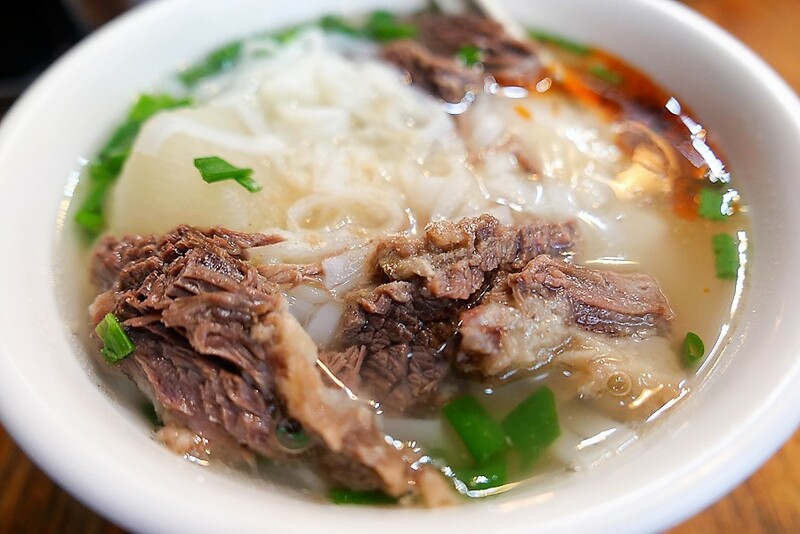 The broth may look “tasteless” but actually it is meant to be “light” and not steal the thunder from the star – their signature beef brisket. 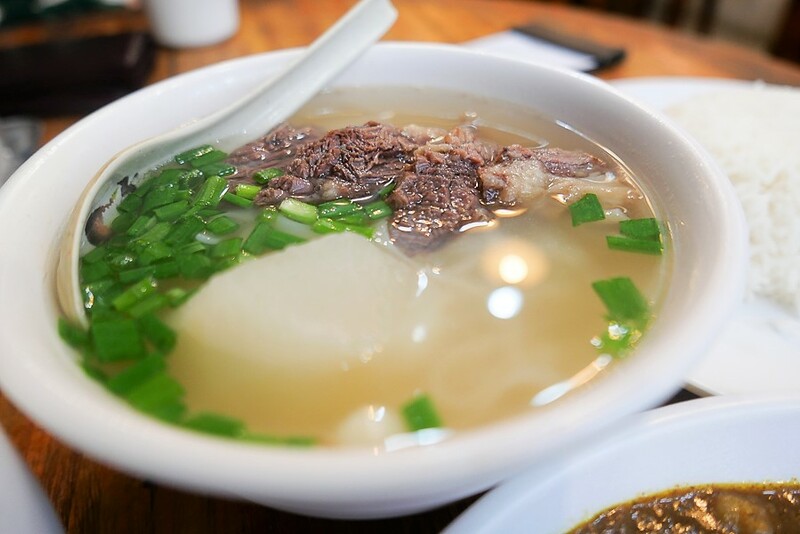 If your taste buds tend to slant towards stronger beef broths, you might find the broth a little too bland. PS: this style is what the Cantonese would call simple and comforting food. The beef brisket was soft and tender to the bite, like good brisket should be. And not to mention the portion here is quite hearty. You do get quite a bit of beef for that price. I added some chiu chow chilli oil in and it alleviated the taste with a bit of a spicy kick. 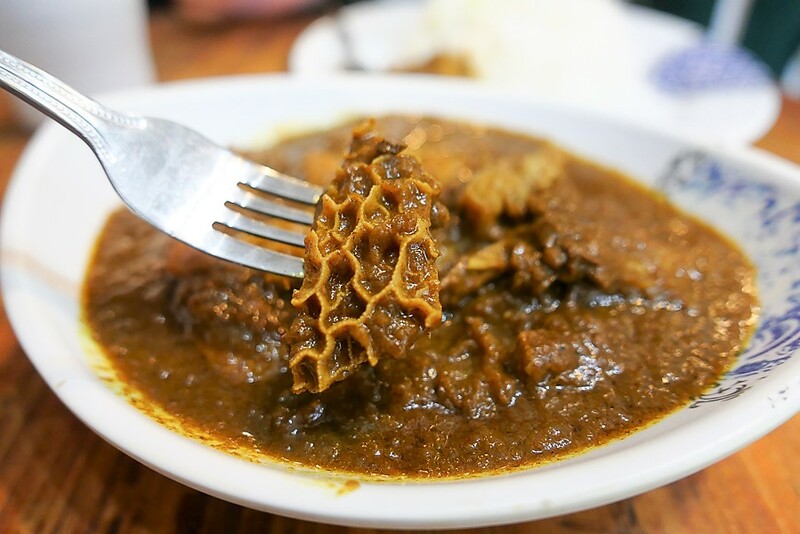 Sun Sin is also popular for their beef curries that are made from scratch with a combination of spices using their secret recipe. 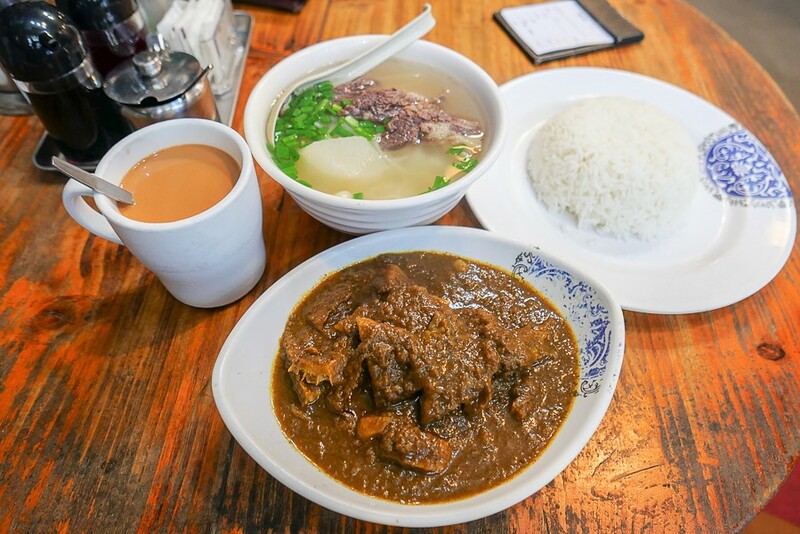 I ordered Golden Curry Rice with Three Beef Treasure (HKD62, SGD10.70) and it was a big portion of beef brisket and beef tripe swimming in a thick curry. Unfortunately, this didn’t taste as exceptional than what it looked. 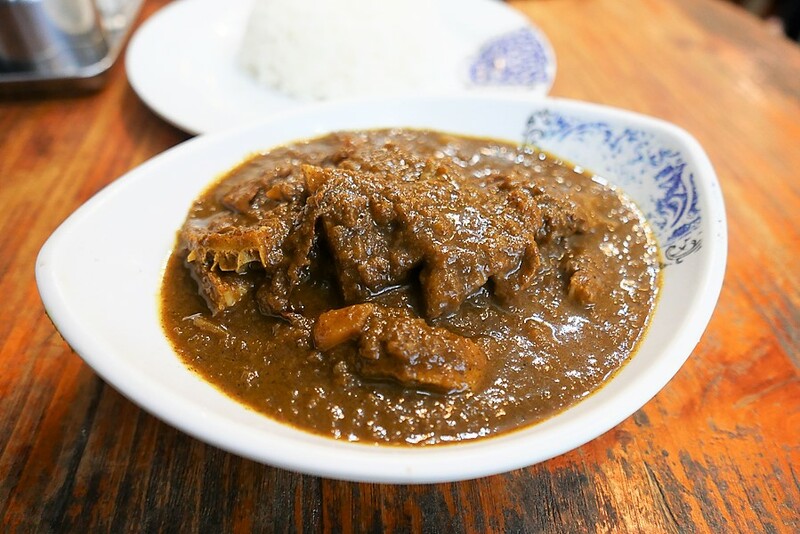 In terms of the texture, the curry tasted a little too grainy for my liking and the beef in this dish was still quite chewy, making you work out mouth more unnecessary. 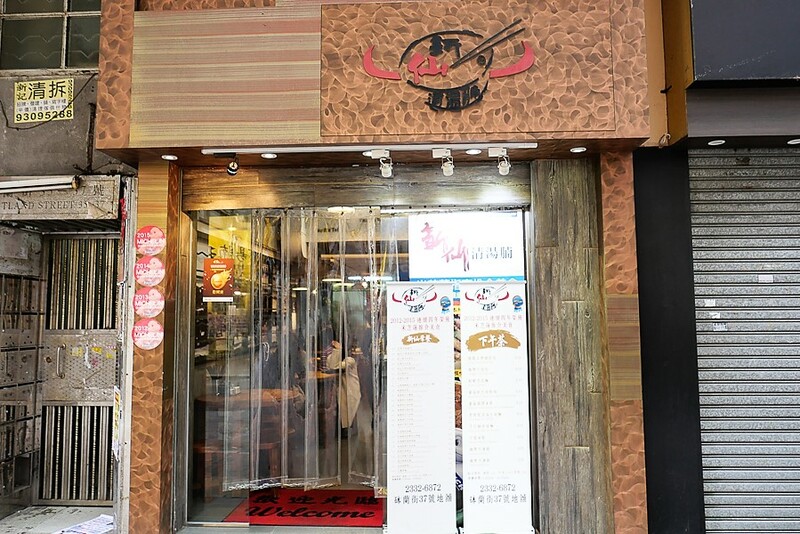 Overall, this place offers a simple but hearty bowl of beef noodles at a good value. The human traffic at Sun Sin wasn’t as busy as the forever-long-queue Kau Kee, which I do not understand why, having tried them both. If I had a choice between the two, my choice would actually be Sun Sin.